Fix My Home Computer provides onsite computer repairs North Maclean services to home computer users throughout many areas of Queensland, including Brisbane. In fact, we are one of the best on-site computer repairs North Maclean providers, with a qualified and highly experienced computer technician available to fix most of your desktop and laptop problems. – Offsite computer repair service: For more serious computer repairs North Maclean, Fix My Home Computer will run scans, diagnostics or complete repairs in our workshop, making use of a faster internet service and not taking up your valuable monthly allowance for any kind of software update downloads. We can agree on the charge rate before starting and keep you informed on every step of the repair process. Once resolved, we will return to your home to set up your system including ensuring critical activities like your internet connection, emails and printing are all working. You’ll receive a follow-up call within a few days to confirm that your workstation is working well. 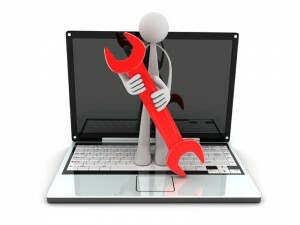 For computer servicing issues and laptop repairs North Maclean, call 0410 659 349 to book an appointment.